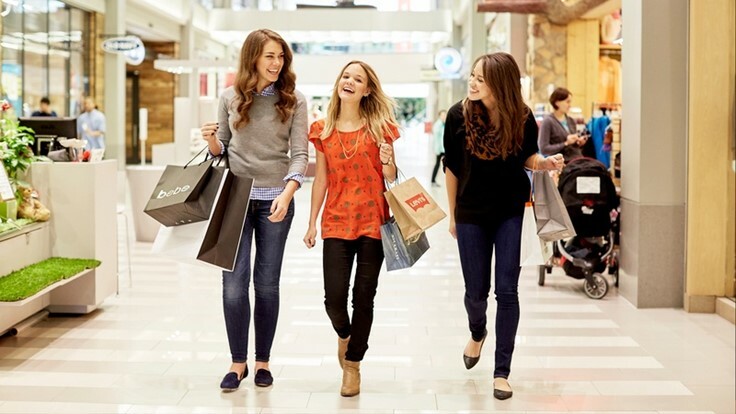 Mall of America® is located in Bloomington, MN, only a few short miles from the Minneapolis/St. Paul International Airport (MSP). MSP is a major hub airport serving points throughout North America, Europe, Asia, Latin America and more. 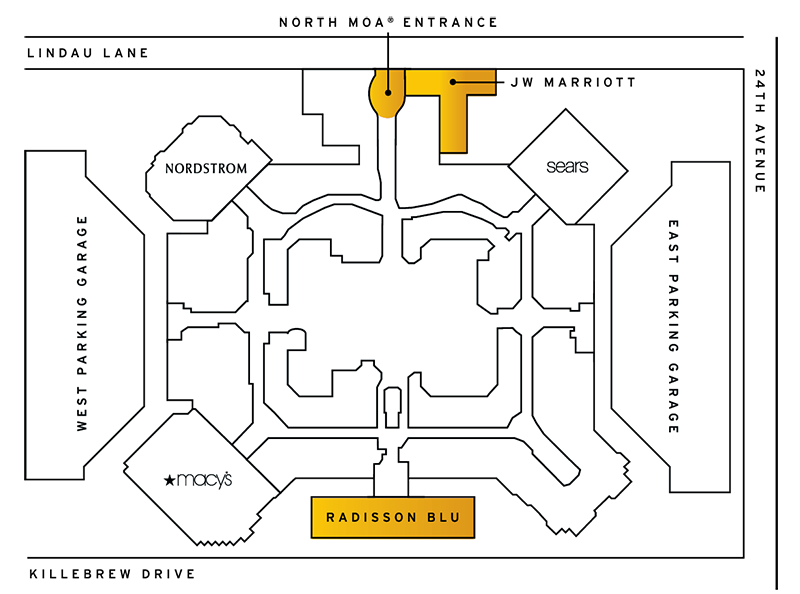 As you plan your visit, know that more than 50 hotels offer free shuttle service to and from the airport and the Mall. The light rail also runs directly from the airport to Mall of America and downtown Minneapolis. Hotel shuttles, taxis, and tour buses drop off and pick up passengers at the new North Entrance with convenient access from American Boulevard. This is located in the Mall parking lot that is east of IKEA and north of Lindau Lane. Signage is placed in these areas to guide guests to their vehicles. This includes daily shuttles to/from Mystic Lake Casino Hotel. 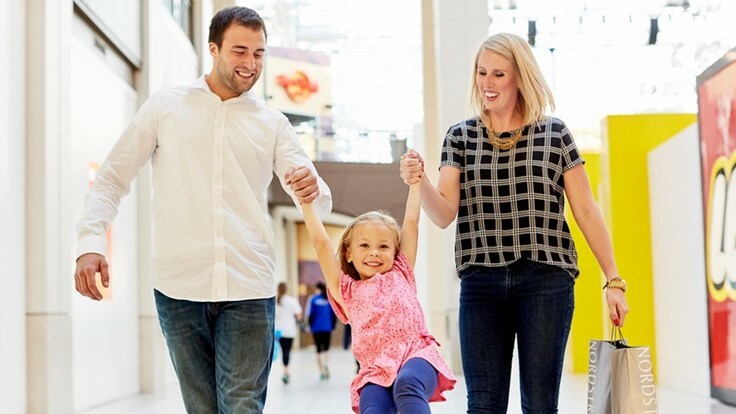 Mall of America is teaming up with ridesharing leader Uber to make getting to and from Mall of America even easier. 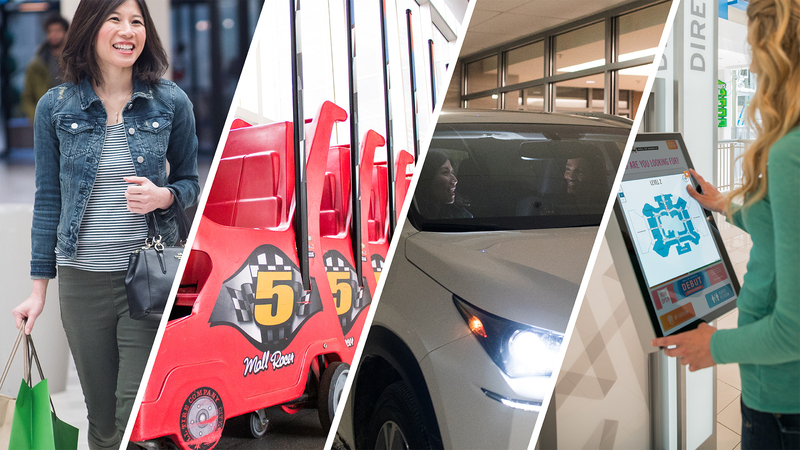 You can now request a driver from your current location and then select one of five specific pickup or drop-off zones at Mall of America. This new service will provide you curbside access to your favorite stores, restaurants and attractions without having to worry about where you parked. Open the Uber app for iOS or Android. 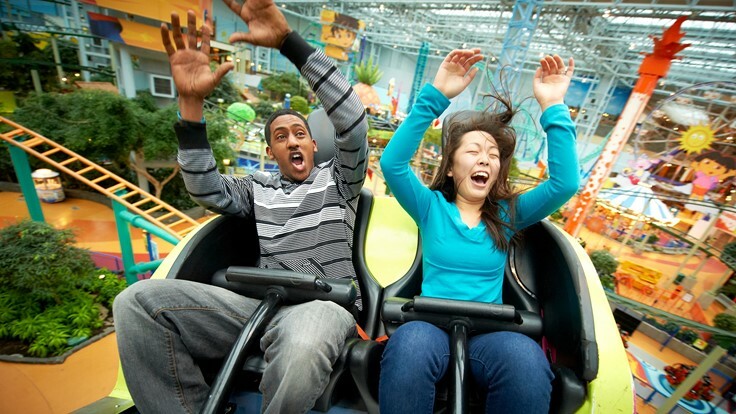 New users get $15 off your first ride with code MALLOFAMERICA. Input your destination in the "Where To?" bar. Select the ride type (uberX, uberXL, uberSELECT, uberBLACK, uberSUV, etc.). Confirm your pickup or drop-off location at Mall of America by selecting one of the five options displayed at the bottom of the screen, then hit request. When matched with a driver, you'll see their name, driver rating, photo and license plate number at the bottom of your screen. You can wait inside and follow your driver's journey to pick you up from directly within the app. When your driver has arrived, confirm it's the correct car by making sure the license plate on the car matches the license plate number in the app. 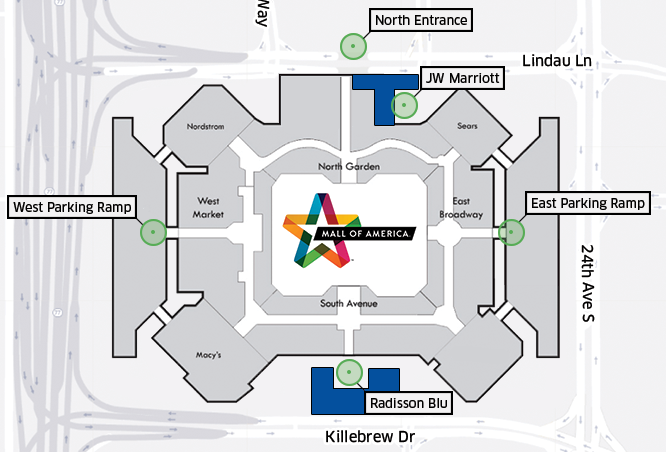 There are five dedicated pick-up and drop-off zones for Uber users at Mall of America. Reserved premium parking is now available at both the East and West parking ramps on the ground floor. Simply download the MyPark app, tap on the MOA logo + park immediately or reserve your premium spot in advance in the section you want. 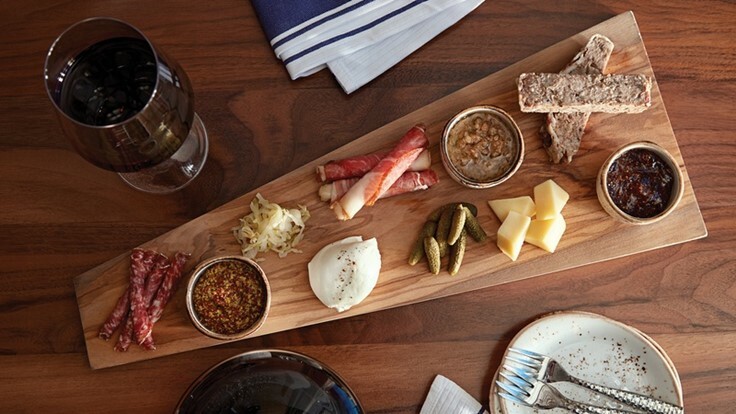 Valet Prices start at $12. Did you know that you can also get your car washed, your oil changed and many other services for your car while you shop? Check out Split Rock Car Detailing's full list of car services. Connect with valet through your mobile device (using their paperless service). 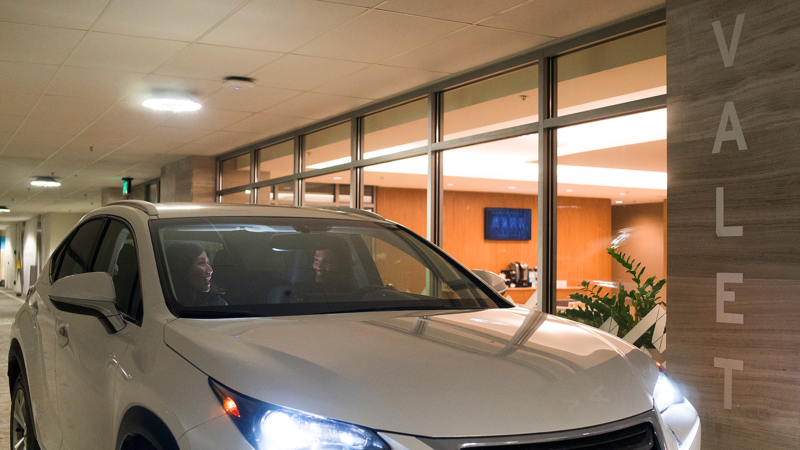 Your car will be brought to the valet location that's closest to you. If you have any questions, or if you need to contact Split Rock Parking LLC (which operates Mall of America's valet service), please call 952.883.8476. Metro Transit buses, serving the Twin Cities area, picks up and drops off passengers at the transit station at 24th Avenue. Express Bus Transportation from Downtown St. Paul runs every 30 minutes, 7 days a week. Click here for pricing and schedules. Light Rail Transit links Downtown Minneapolis, MSP International Airport and Mall of America. Mystic Lake’s complimentary shuttle services makes eight trips from Mall of America every day. Buses to the casino depart from the Mall of America Transit Station located on the lower level of the East Parking Ramp. In order to ride, you must be at least 18 years of age, and can provide either a Mystic Club Card, valid driver’s license, or state ID. For more information, call 1.888.8.FREERIDE. Click here for route times. For RV parking and hook-up details, please visit our security page. Vehicles with trailers, RV’s, semi-trucks, box trucks and any other oversized vehicle must park in the Lindau Lot, north of Mall of America off of Lindau Lane. There is no overnight parking at Mall of America. Contact security at 952.883.8888 or visit the security page for more information.